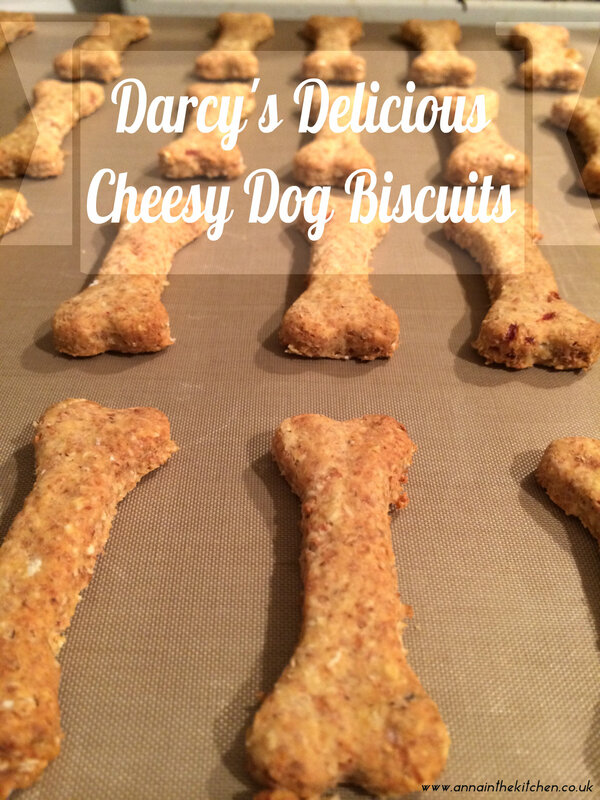 These Cheesy Dog Biscuits came about because I had a hankering to bake something. I was trying to be good and not make cookies (I failed, I totally made cookies too!) so I thought I’d have a go at baking something for Darcy. 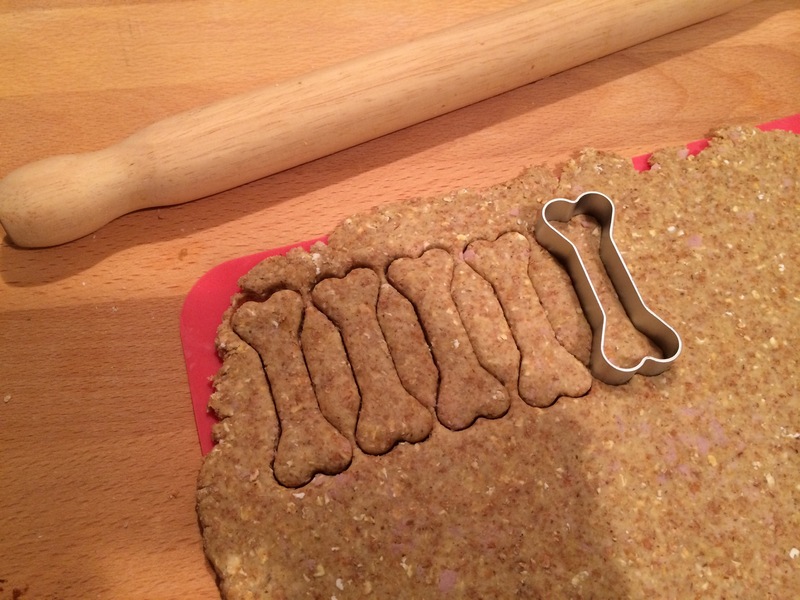 I had seen a whole bunch of recipes for dog biscuits but nothing ever seemed right. My dog is small and still only a puppy so I didn’t want to use stock, even low sodium stock. My dog also hates peanut butter. The only dog I have ever met who doesn’t go nuts for it! So I thought I’d have a bit of a play around and see what I could come up with that Darcy would love but I would still be happy to give him. He loves cheese so that was a good starting point. 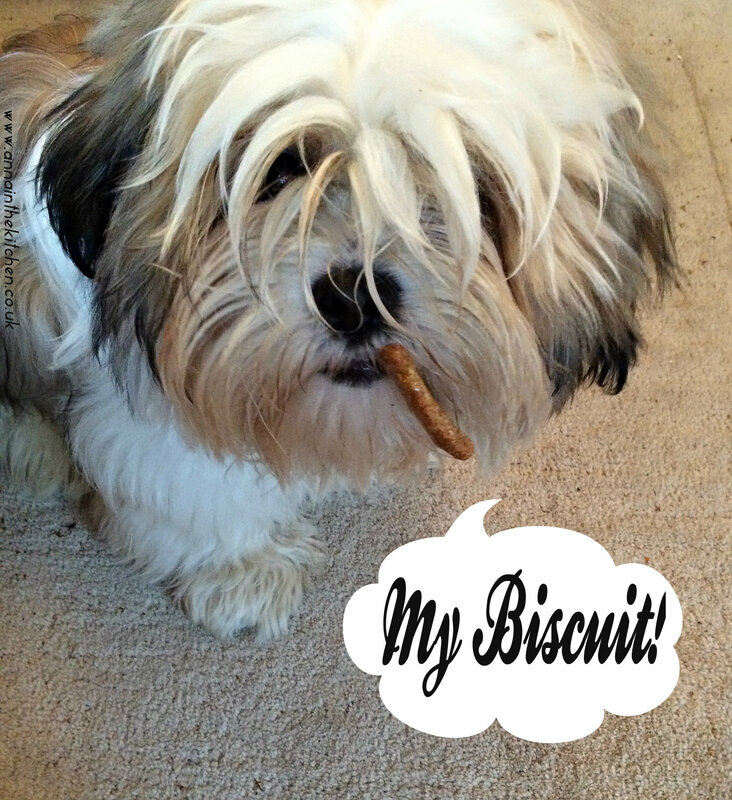 These biscuits certainly tick all my boxes! They’re cheesy, crunchy and, quite honestly, I would totally eat these myself dipped in humous or something! The recipe gives a good yield for such an small quantity of ingredients and these were all things I had in the cupboard so they were super simple to make! Makes 50-70 biscuits depending on the size of your cutter. – Preheat the oven to 180C/gas mark 5. – Mix the oats, flour, egg and most of the water together to form a soft dough. You may need all of the water, you may not so add a bit at a time until it comes together in a soft but not sticky dough. – Add the cheeses and ham and knead to combine. – Roll out on a lightly floured surface or silicone mat to a thickness of about 5mm. – Cut with your desired cutter, I used a 6cm bone shape. – Place about 1 cm apart on a baking tray. – Bake for 15 minutes. 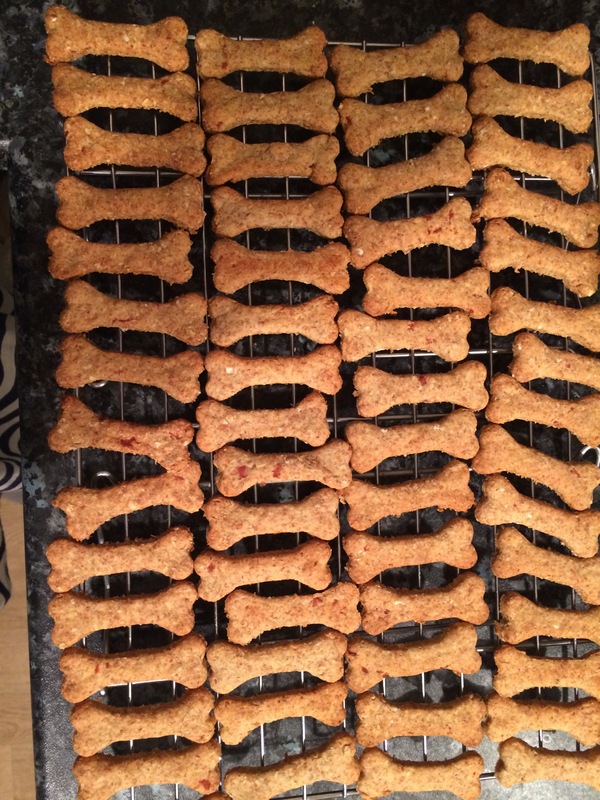 – Place the baked biscuits on a wire rack to cool and repeat with remaining biscuits until all of the dough is used.